Today AVMI crossed a real milestone by performing our 10,000th MRI procedure. Vienna is a 4 year old spayed female Daschund with a recent onset of progressive rear limb weakness. 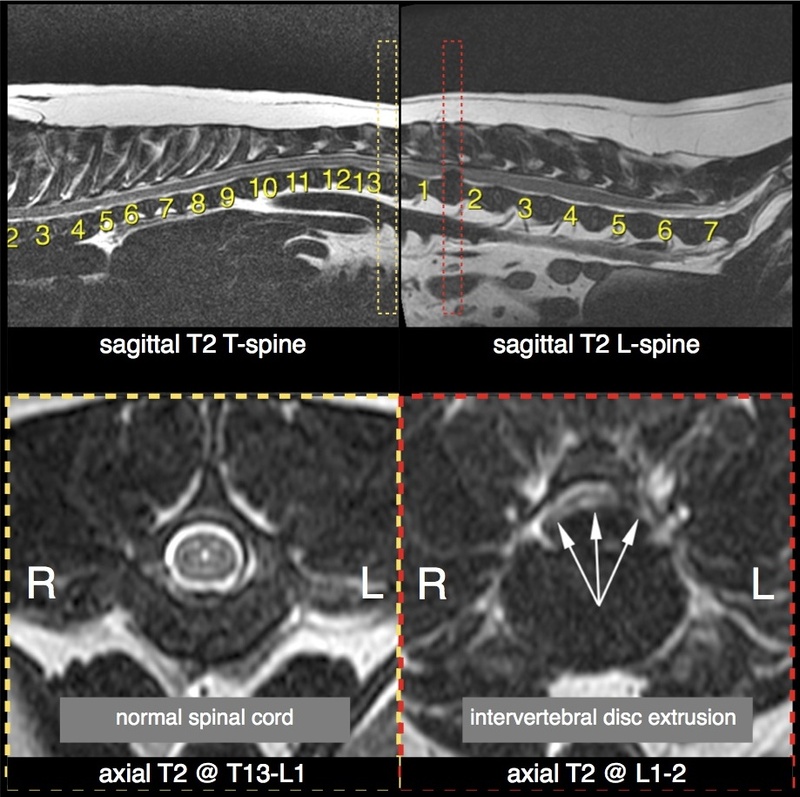 Emergency MRI confirmed the cause for Vienna's weakness was a intervertebral disc extrusion between her 1st and 2nd lumbar vertebrae (see below). Vienna underwent immediate decompressive surgery and is expected to do well.